This 3 bedroom townhome has been WELL CARED FOR & IS AS CLEAN AS CAN BE!! Lightly used home includes nice living room w/gas FP. Kitchen has nice cabinets & bar setting plus elec range, dishwasher & refrig. You will love all the natural light in this end unit! Master bedroom has lovely master bath & spacious walk-in closet. 2 add'l bedrooms w/good closet space. Private 1 car garage. Patio faces private greenspace. Enjoy the convenience of maintenance provided living in a great community. 152 to N Brighton, North on Brighton, Left on Barny Rd, South on Kensington, take 1st Left on 83rd Terr. Kansas City is located in Missouri. Kansas City, Missouri 64119 has a population of 475,378. 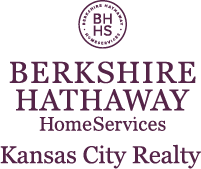 I am interested in 4623 NE 83rd Terrace, Kansas City, MO 64119.